The iPad will have competition in Europe in the coming weeks. Samsung will market its Galaxy Tab 10.1 to 8.9 and from 8 August. The Korean company says its shelves are the finest in the world with only 8.6 millimeters thick and weigh only 565 grams, respectively (version 10.1) and 465 grams (version 8.9). Care side, LG will sell its Optimus Pad for € 599 by the end of the month. It operates on Android 3.0. 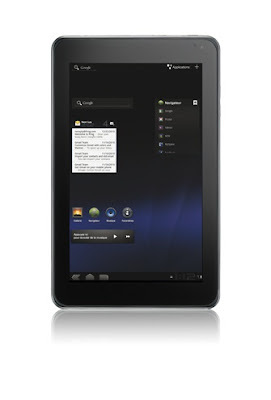 This tablet 8.9 "has a resolution of 1280 x 768, features a double heart Nvidia Tegra SoC 2 and 32 GB of memory. The connection is very rich: Wifi, 3G, Mini HDMI, USB Mini etc. What is its advantage over the competition? It allows you to watch content in relief (glasses required) and is equipped with a double-megapixel photo sensor 5 that allows video capture in 3D. It should be noted that initially this tablet should be sold over € 200.